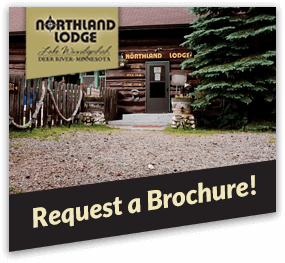 ​Nestled in the trees on the shores of Big Winnie in northern Minnesota, Northland Lodge is a great place to take a break from the busy city life. We will quickly become a family favorite. Whether you're from Iowa, Chicago, or the heart of Minneapolis, we have a vacation spot for you to enjoy. This relaxing Lake Winnie Resort offers 12 modern housekeeping cabins, a large campground with RV hookups, a private dock to some of the best walleye fishing in Minnesota, and a heated swimming pool with a waterslide - Northland Lodge has something for everyone. 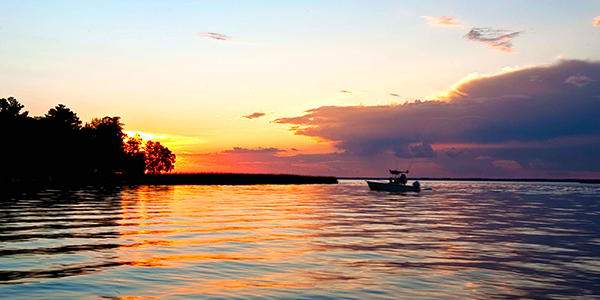 ​Lake Winnie is home to some of the best Minnesota walleye fishing. Created in 1884 when its dam was built on the Mississippi River, it is a well-known source of great fishing for walleye, northern pike, muskie, jumbo perch, bass, crappie, and bluegill. In fact, the lake is also home to plenty of fishing events and tournaments throughout the summer because of walleye. Built in 1919 of huge native Norway pines it is an impressive building which is adjacent the most popular resort amenity - the heated swimming pool. The lodge is a great place to grab a snack, play some pool or a video game and it's also home to conveniences like the shower house and coin-op laundry facility. With seasonal campsites, full RV hookups and tent campsites the campground at Northland Lodge is a rare find on Lake Winnie. It is the perfect spot to enjoy a vacation with some of the best walleye fishing in Minnesota. Campers appreciate the clean grounds and shower house which has two fill bathrooms complete with showers. Thinking of a family get-away or a minnesota fishing vacation? By Land or Lake: Explore Our Minnesota Family Resort! Copyright © Northland Lodge. All Rights Reserved.